Yahoo Sports used the Kansas Open Records Act to get confirmation that the federal government had subpoenaed the University of Kansas in a federal investigation over basketball endorsement deals. The university denied the request, but in doing so, acknowledged it had the documents. The sports fan site SB Nation got an inkling that Florida State University was working to add lacrosse to its team sports offerings. To get confirmation, the site used the Florida Public Records Act to request emails to and from the university president and athletics director regarding lacrosse. The emails revealed that the school was indeed working to add the sport to their roster. Are you a student journalist or an adviser to a student news organization? 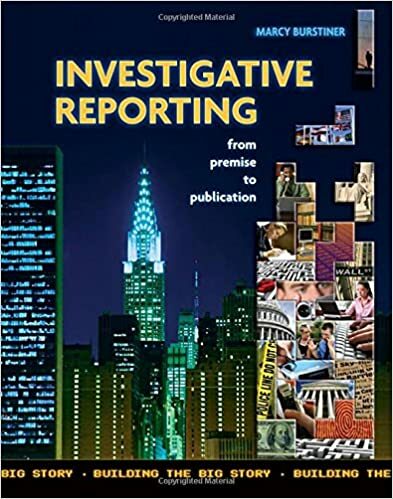 Have you or your students done any investigative stories? Share them with us at campusiteams@gmail.com and we will spotlight them here. Want to join the Center for Campus Investigations? If you are a student journalist or an adviser to a student news organization and you have an investigative story or package to share, send me the link and your contact info. I'll post the link to this site. And I may want to interview the reporters who did the story. We're looking to do podcast interviews.